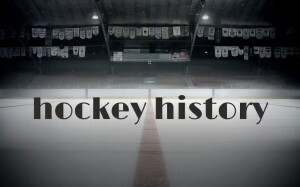 Welcome to our website, where you will find out everything there is to know about the fascinating sport of ice hockey. Why ice hockey? The answer is extremely simple – we believe it is one of the few real remaining contact sports out there, alongside with rugby. American football is nothing but a show, and football is slowly becoming a joke. Ice hockey, however, maintains its tough, hard, rough image and the players on the field continue to fight day in, day out. There is no contact sport out there like ice hockey. Rugby is the only thing that compares, but since ice hockey is actually played on ice, on skates and with sticks, there is no doubt about who the winner is when it comes to action. Ice hockey is quite an old sport, having existed more than a hundred years. It is, though, very unclear exactly where the sport first came to be, and where the origin really began. 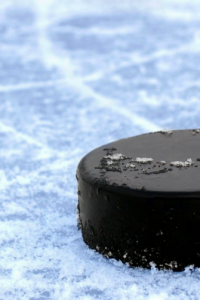 It’s widely believed that it was in Canada that ice hockey the way we know it today first came to be, and it is still the national sport of the North-American country. If we talk about the origins of hockey as a whole, the story becomes a bit clearer. In the 17th or 18th century, a similar game was played in the United Kingdom, though with a ball instead of a puck. Yes, bandy and similar sports all originated in Europe and are still widely played across the old continent. The European immigrants that went to Canada brought the sport with them, and it is there that it evolved into the popular Olympic sport we all are familiar with today. It is in Canada that the “puck” was brought into the game. The purpose of the puck, in contrast to the ball which was used previously, is simple – safety. Yes, it is much easier to shoot a ball high up in the air, rather than a puck. Hence, for the safety of both the spectators and the players themselves, a flat, round and quite heavy wooden piece came into play instead. From there, it was only a matter of time before the conventional type of ice hockey spread out and invaded both our minds, our TV-screens and every single ice rink across the globe. By the end of the 19th century, ice hockey was already becoming a popular sport in Canada and parts of the USA. From there, it was brought to back to Europe by the children of Lord Stanley, the Governor General of Canada at that time. Ice hockey was already forming itself into different leagues at the time, but was still mostly played between different colleges and universities as a new form of rivalry arose. Not long after, though, when both Europe and North-America unveiled the potential of this amazing sport, a whole bunch of professional leagues and competitions arose on both sides of the Atlantic. After first being named the NHA (National Hockey Association, founded in Montreal, Canada), it quickly changed name to NHL (National Hockey League) in 1917, and started expanding into the USA, where the northern states already had a keen interest in the sport. Up until the beginning of the 20th century, Europeans preferred bandy to ice hockey. Bandy, however, was not a recognised Olympic sport, something ice hockey quickly became. From that moment forth, European nations, one after the other, started to abandon the traditional bandy and switching over to ice hockey instead. This was in order to represent their countries in the Olympic Games. Ice hockey quickly spread even to the most bandy-loving countries like Sweden and USSR! The Soviets were actually among the last ones in Europe to approach the sport, but within a few years they had built an extremely strong team. From then on, it was a matter of rivalry between the USSR (later, Russia) and Canada over who was to call themselves the worlds strongest national ice hockey team. 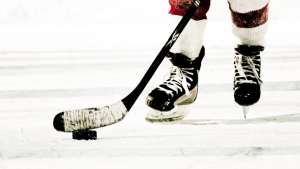 Nowadays, ice hockey is one of the most popular sports in the world, being played in just about every northern country, where it is feasible to maintain outdoor or indoor ice rinks. Most European nations have their own league, but the two main ones internationally are the NHL and KHL. The NHL now consists of several dozen teams from all over the USA and Canada, whereas the KHL (Kontinental Hockey League) is made up mainly by Russian teams, as well as one team each from a few other nations (Slovakia, Finland, Latvia, Belarus and a few others). The sport culminates in two international competitions – the Olympic Games, and the World Championships. The International Ice Hockey Federation manages the latter, as well as several other championships. In the NHL, the yearly season ends with the Stanley Cup, where the overall winner and hence, the best team in the NHL, gets to lift the famous trophy after a series of playoff games.